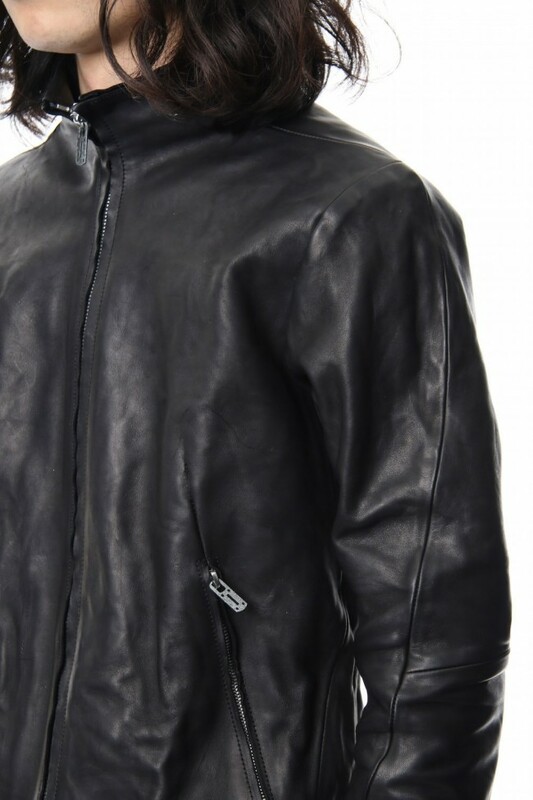 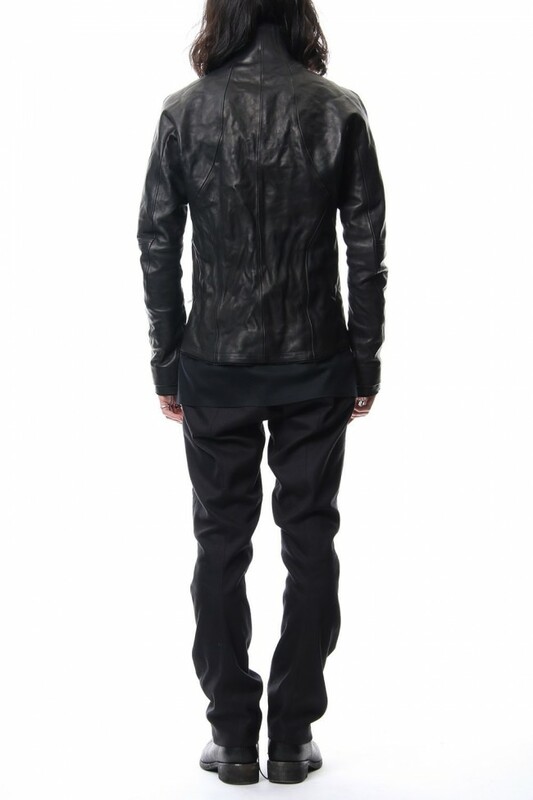 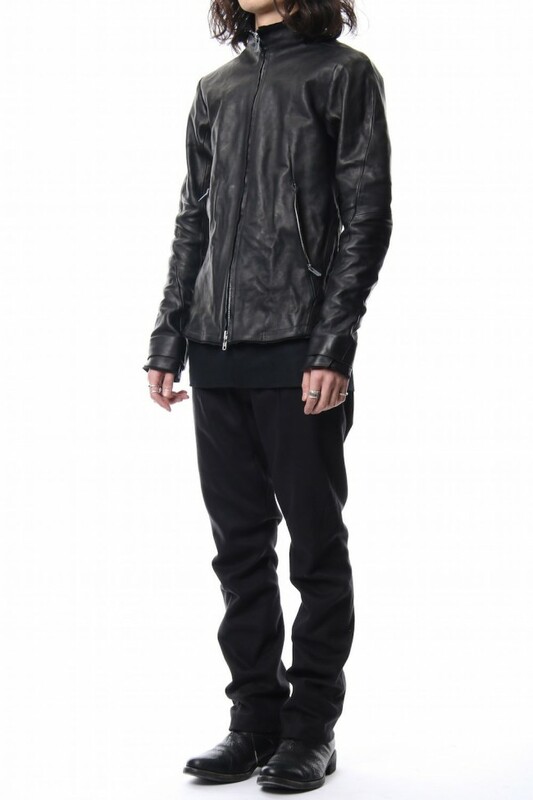 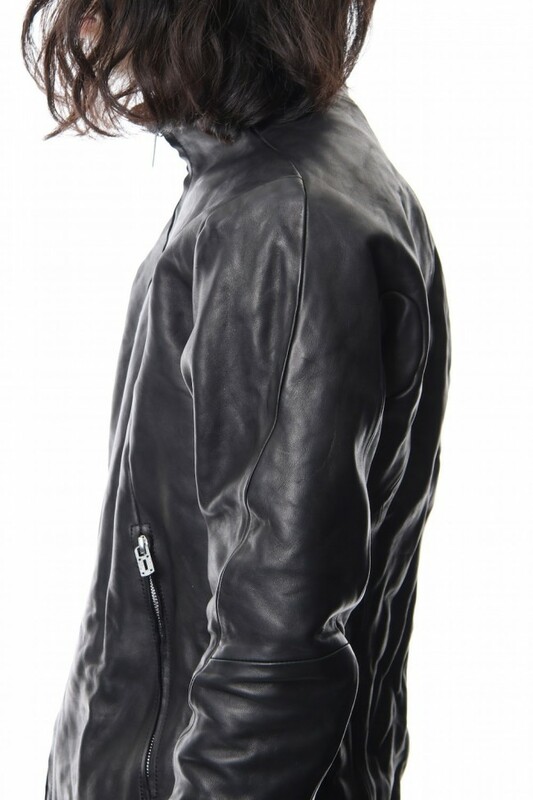 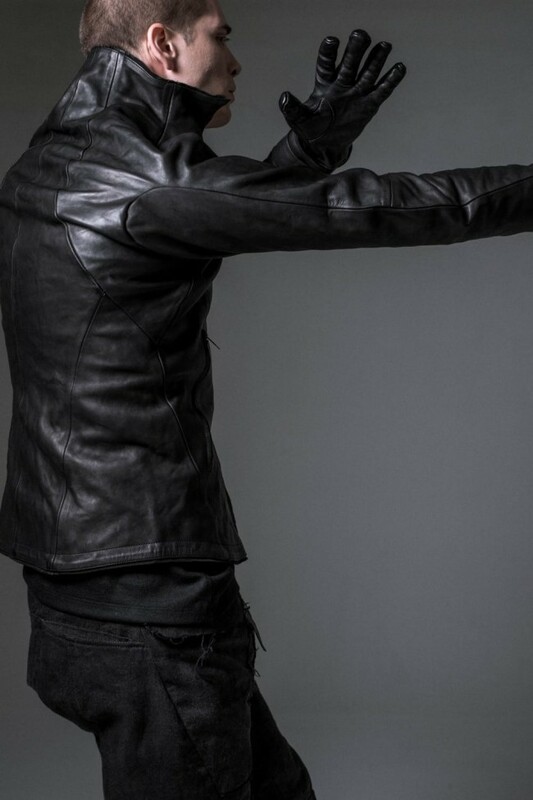 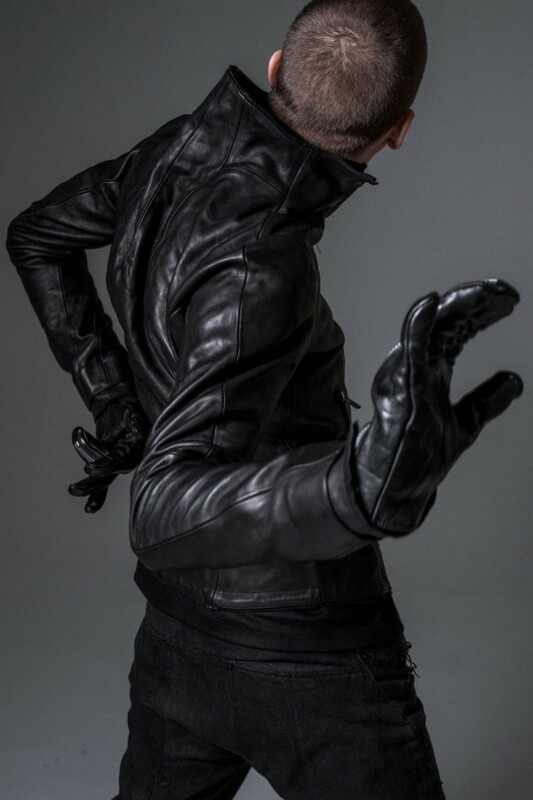 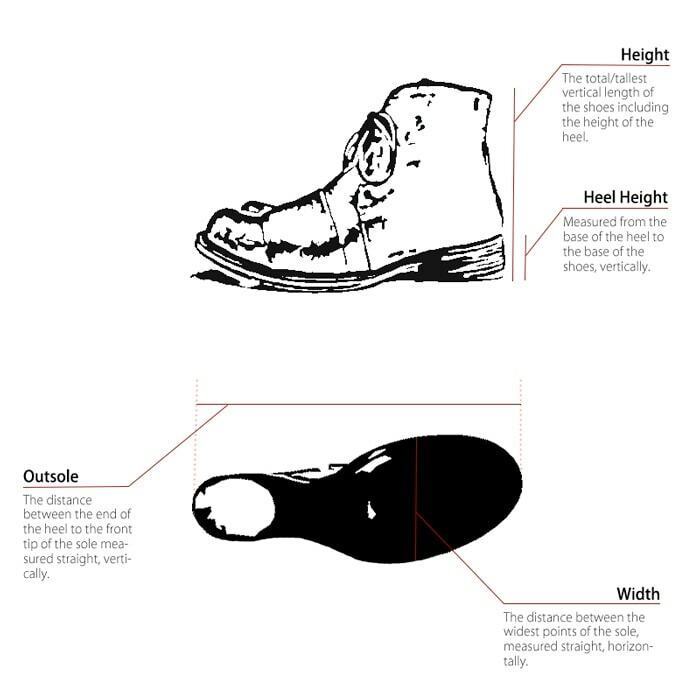 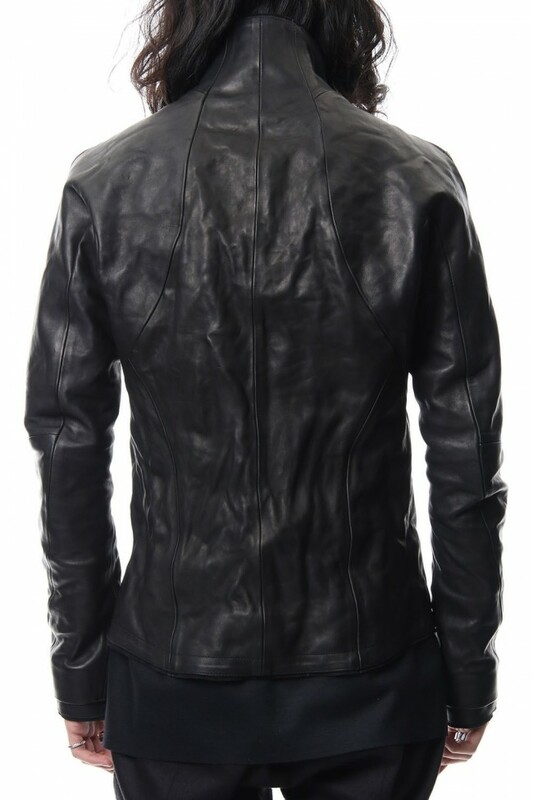 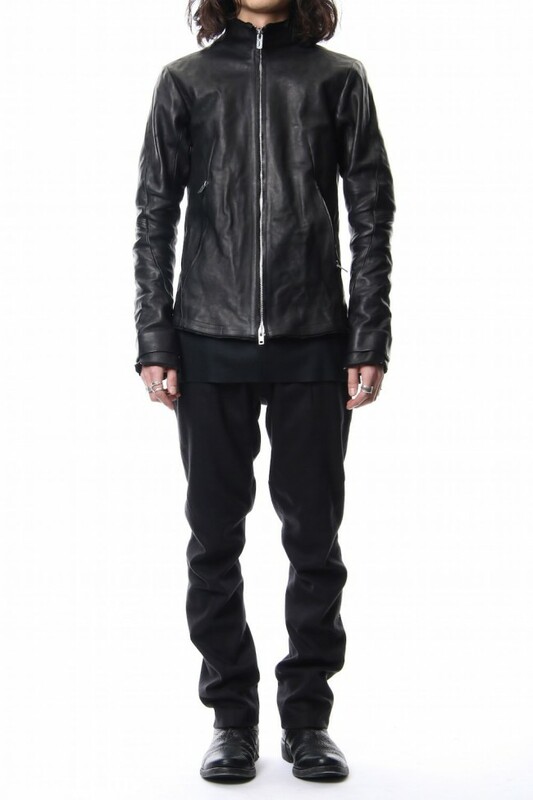 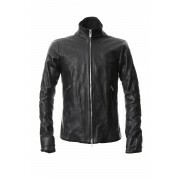 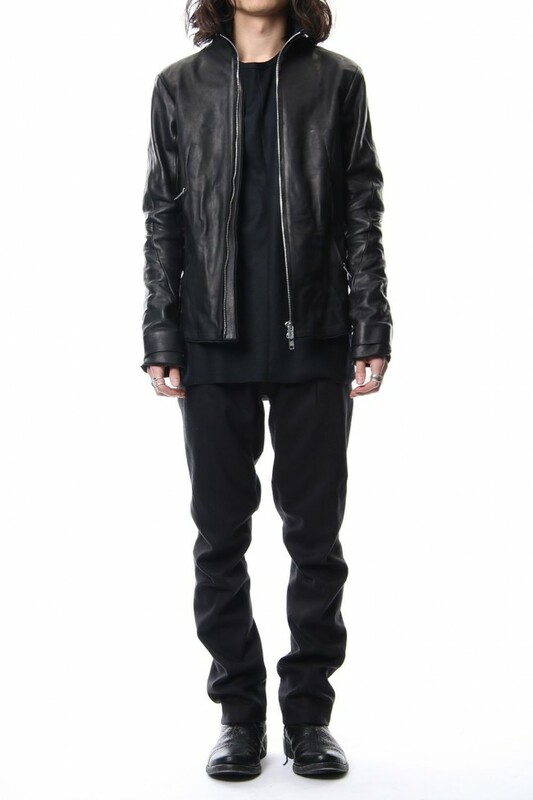 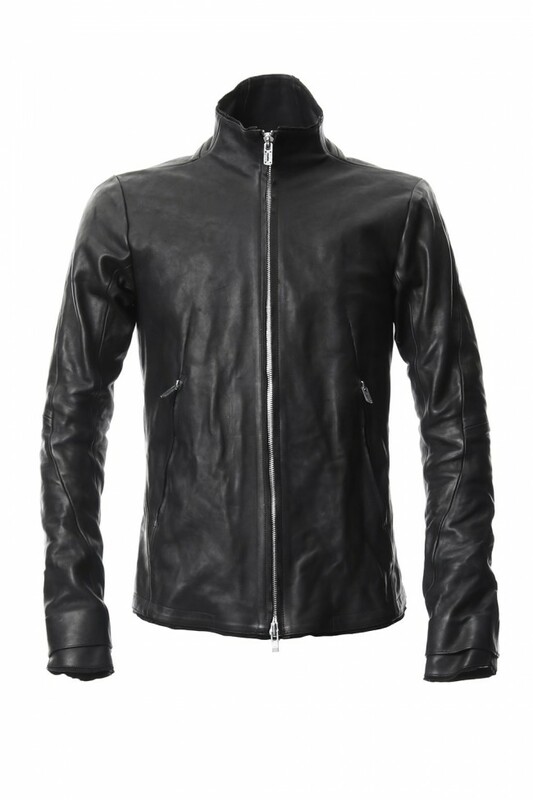 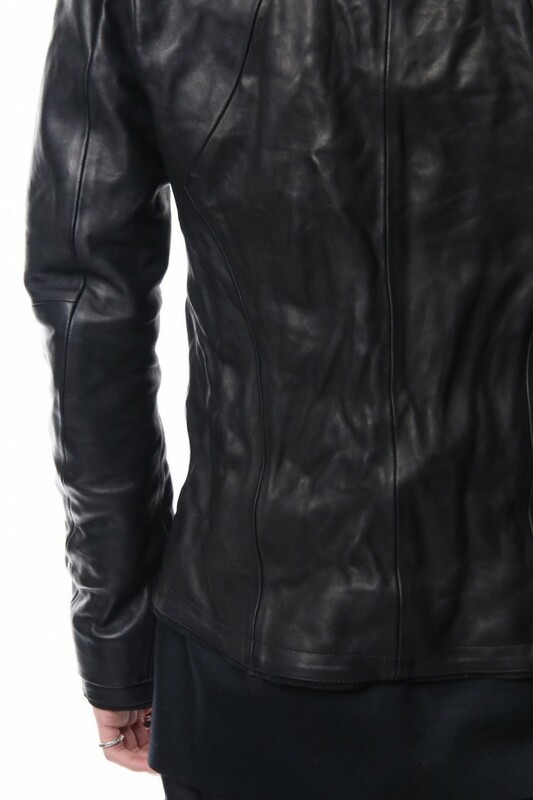 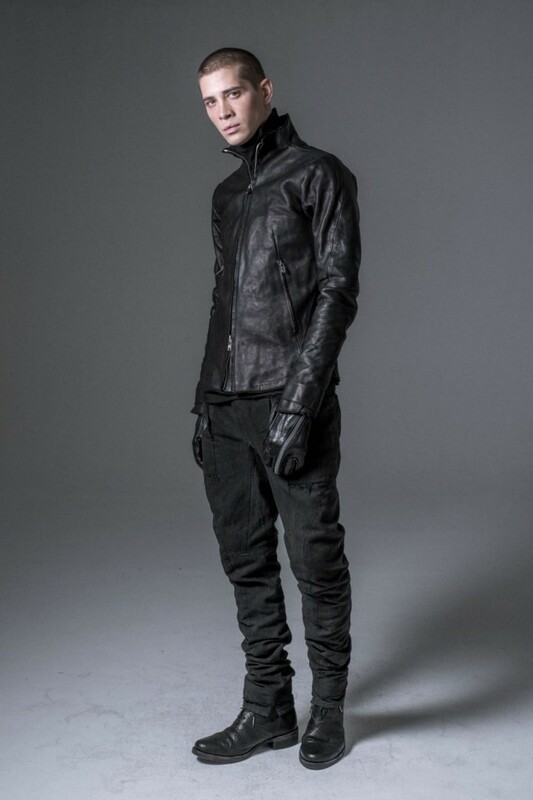 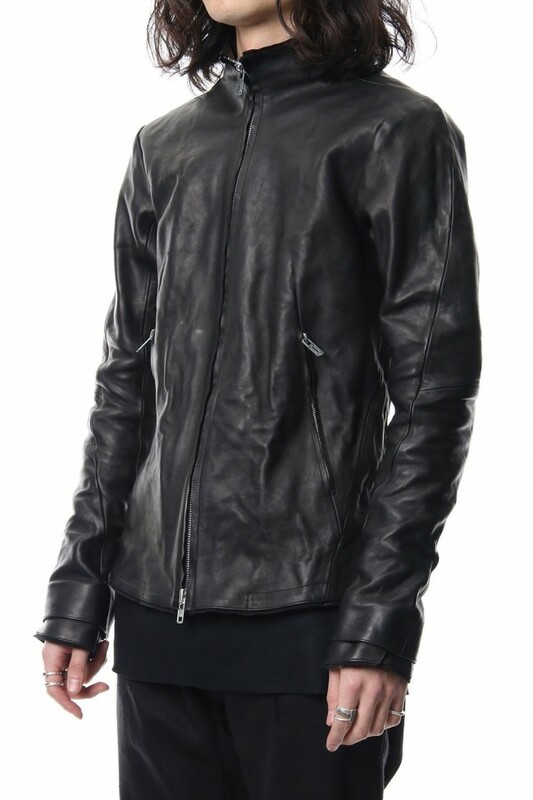 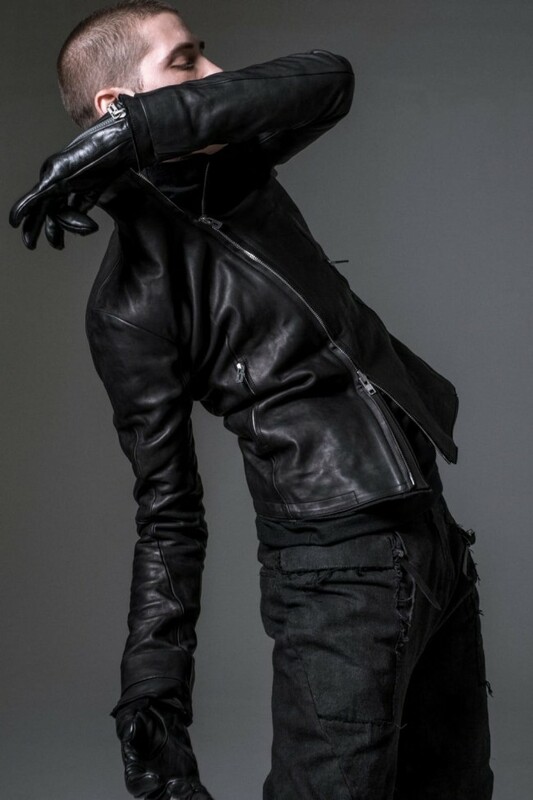 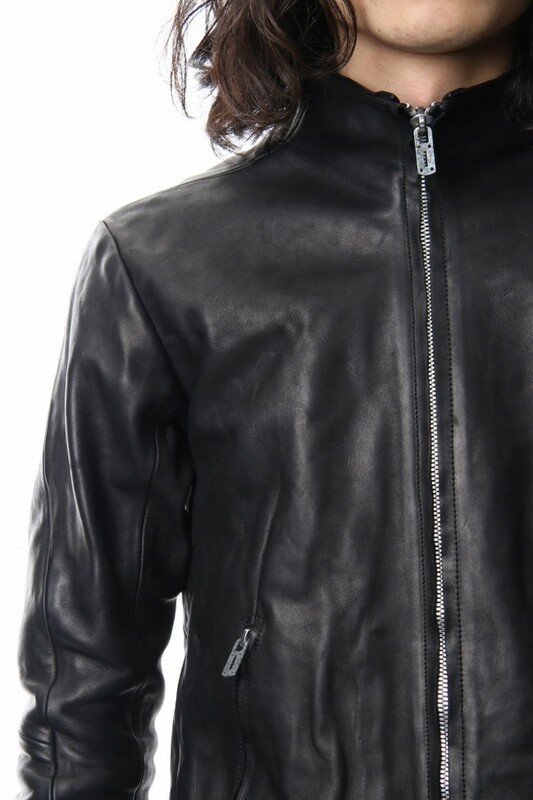 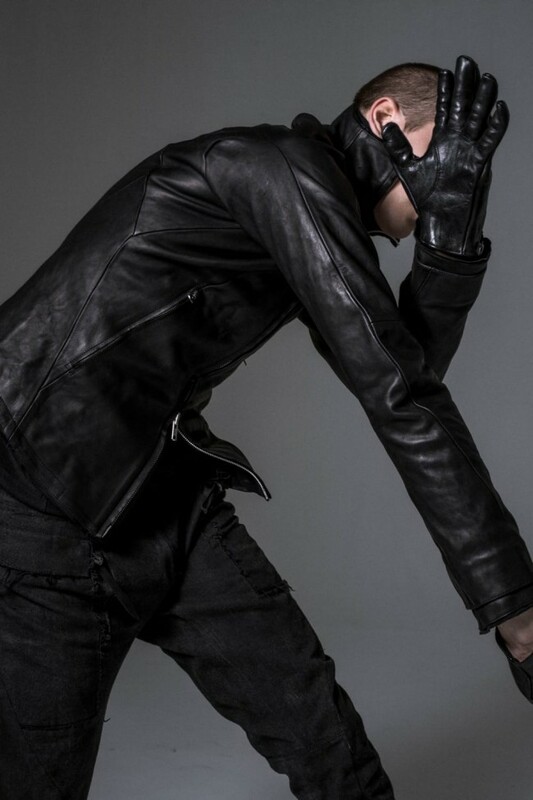 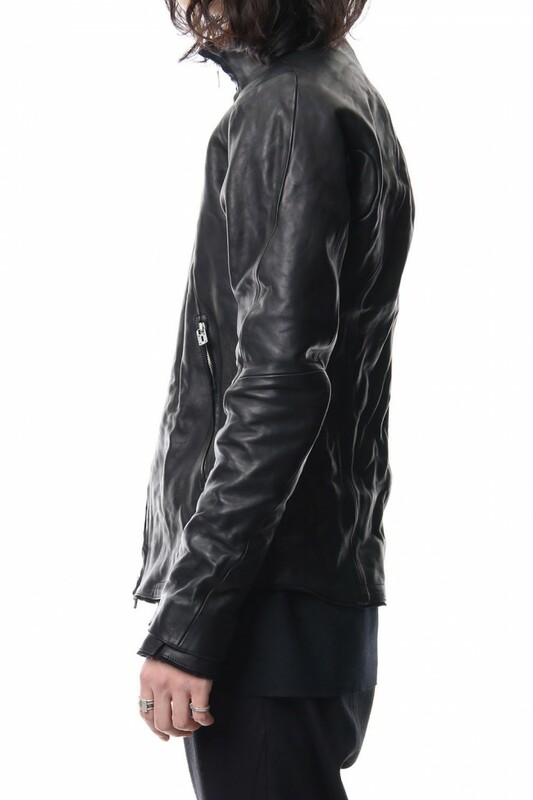 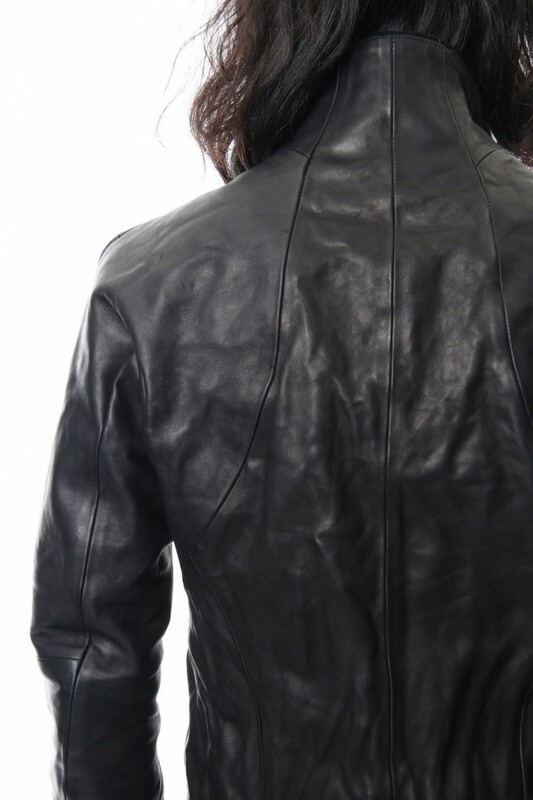 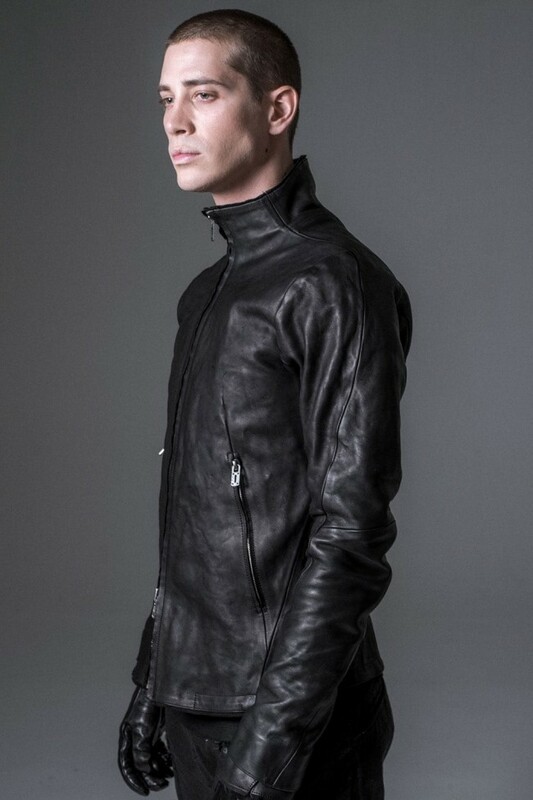 · Full tanned 1.2 mm thick horse leather was used. 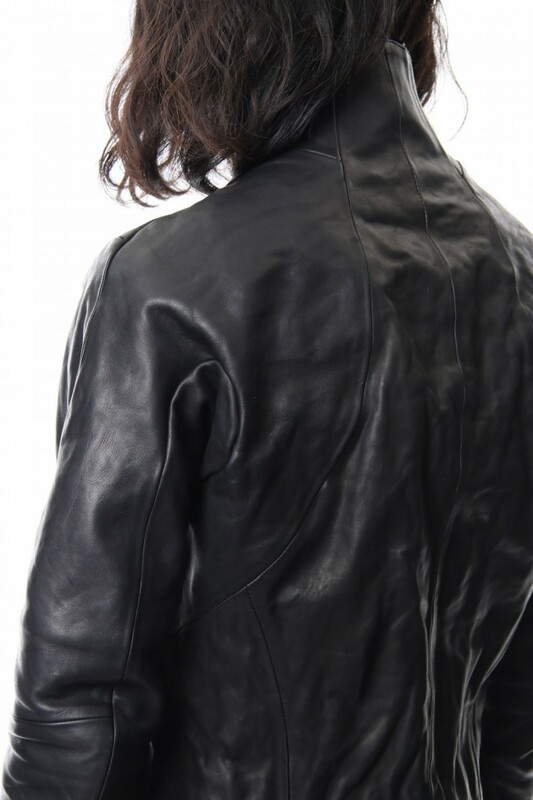 Normally the full tanning leather is finished hard, but it penetrates over time with three times the oil than usual (the oil used for leather baseball gloves), the matte and smooth leather with viscosity was made into the an orginal developed leather. 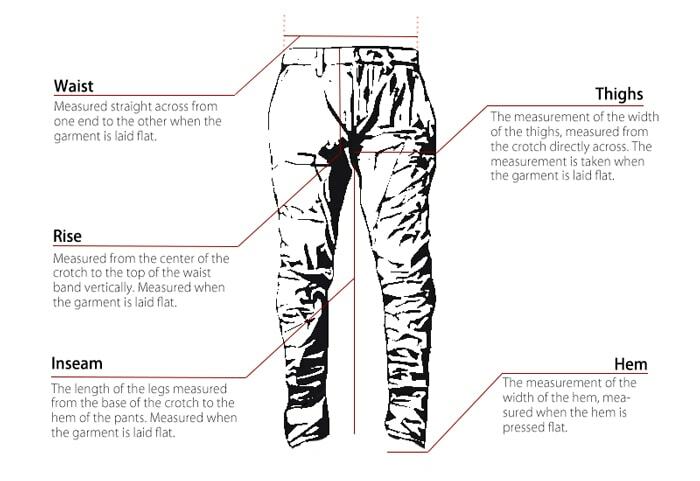 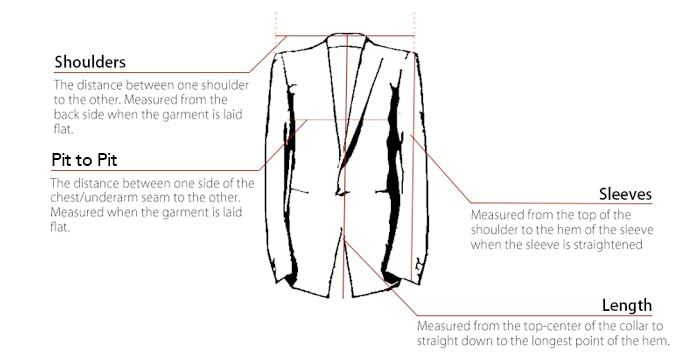 · The high neck standing up and the pattern of the back sleeve is a very technical pattern of raglan and deform bottom of arm hole makes this piece easy to move in when worn. 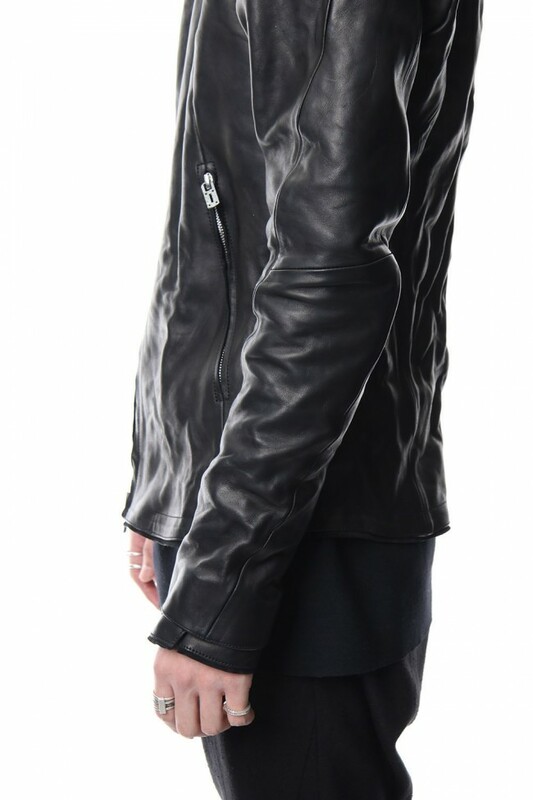 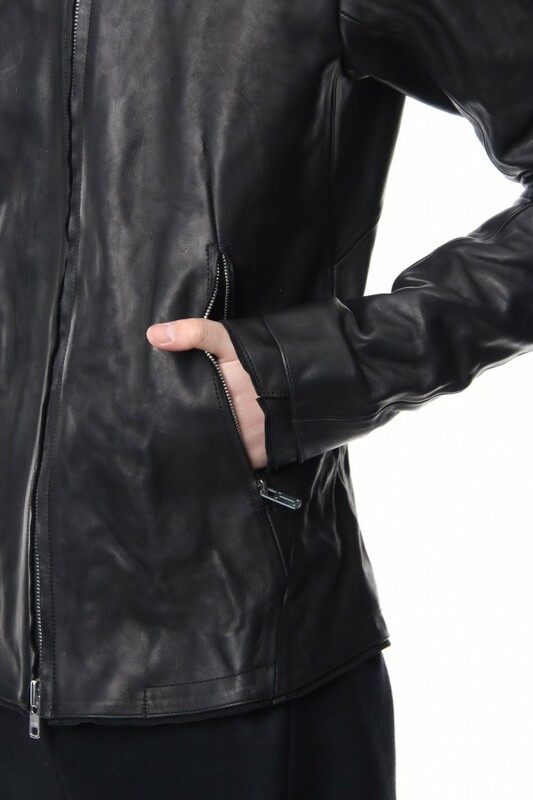 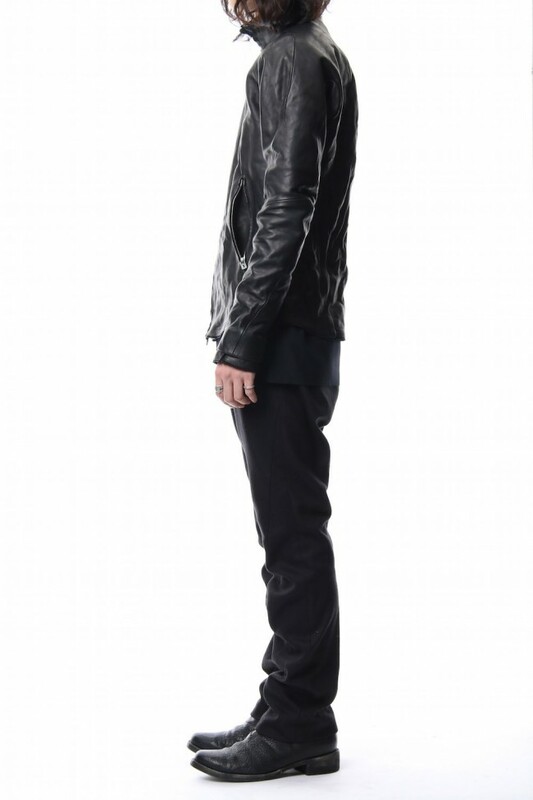 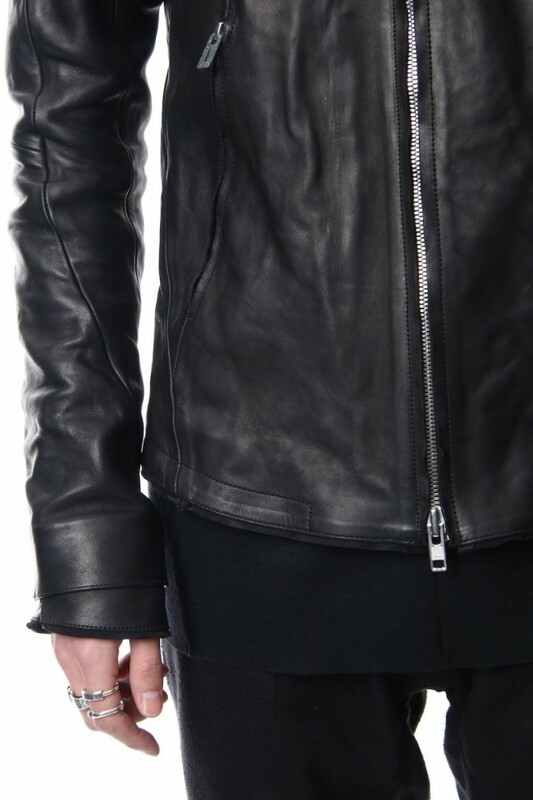 · It has a minimalist design, but the collar, hem and cuff are this jacket’s features as it has a complex seam line and silhouette.